Princess‘s first single Say I’m Your Number One was released in 1985 and reached top ten within six weeks, selling over 2 million copies worldwide. The eponymous album went gold yielding four top ten singles. 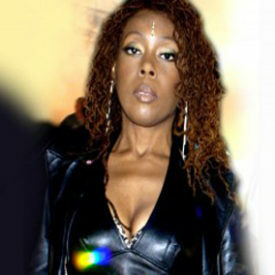 Princess had repeated performances on “Top of the Pops” with appearances on the various morning TV shows, augmented by radio, TV and live appearances worldwide. 1987 Princess signs to Polydor worldwide and records her new album, All For Love in LA. Producers included, Ballard and Magness – the co-writers and producers of Man In The Mirror for Michael Jackson; Richard Burgess writer and producer for 5 Star; Fox and Drinkwater, writers and producers for Chico DeBarge and Trevor Lawrence who had also been Stevie Wonder’s sax player. Princess was asked to do work on behalf of UNICEF, for which she was given The Award of Distinction particularly for her contribution in performance to the Children on the Frontline Project (Zimbabwe), The Youth Olympics and the Nyong Dong Festival (Korea) also hosting the video of the event in Zimbabwe. Whilst in the US Princess has enjoyed meeting many of her musical favorites. The ‘Wonderful’ Stevie Wonder came to one of her recording sessions. Isaac Hayes, interviewed her on his radio show at Kiss FM after she had covered the song, The Sweeter He Is written by himself and David Porter. She recorded with Jazz Great Roy Ayers. Princess also travelled to Africa to take part in Panafest (Ghana). That bill also had Stevie Wonder, Culture and The Sounds Of Blackness. 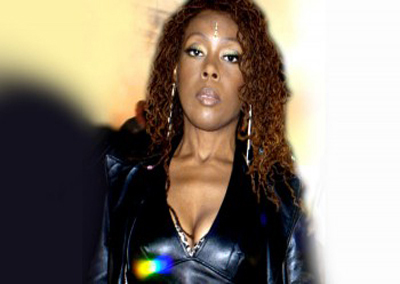 In 2003 Princess returned to the UK after some fifteen years abroad, to rave reviews where ever she performed and the fan club is still going strong. March 2003 Princess played to a packed audience at the Royal Festival Hall and Princess performed with her friend Roy Ayers for three weeks at the famous Ronnie Scott’s jazz venue. At present Princess is back in the US writing, performing and getting ready to record a new album with a German Production company.